Paul Zigouras had a super efficient hydrogen generator system, which was suppressed and eventually bought out. A small auto racing company called "Zigouras" has gotten into the "ultra-efficient electrolysis" fray and claims to power an ICE on self-generated hydrogen [Brown's Gas] with zero gasoline. Money back guarantee! 6. There is a frequency modulation "wobble" of the signal +1 to -3 kHz around the base frequency. 7. The current draw at 13.8 volts is between 160 and 190 amps. 8. A cell of about 20 plates 3" x 10" is capable of generating 20,000 litres of gas per minute. 9. The voltage applied to the cell never falls below +1 volt. As one side of the cell is connected to +13.8 volts, that means that the other side of the cell never goes above +12.8 volts. In other words, the square wave switches between zero volts and +12.8 volts 40,000 times per second. good deal of development and testing. something which is seemingly scientifically impossible. I would not even have mentioned it - since the claim is preposterous on its surface (although others have been making the same claim since "Dad" Garrett in 1935, especially Stan Meyers)... except that Zigouras do seems to be a valid racing outfit - so they must know a thing or two about engines. Zigouras Racing is building and recently started selling (on eBay!) this water-fuel technology (BG electrolysis) unit which sounds too good to be true, and probably is hyped-up beyond a real ability to validate, but anyway.... is there any anomaly at all in what they are doing? 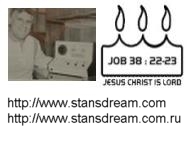 They have an electroyzer driven by very high amps off of a beefed up alternator in an auto - they are claiming to be capable of electrolyzing 5 gallons of water per minute (impossible !) and then using only this (part steam part H2 and O2 or Brown's gas) to power a vehicle with no gasoline! Not the first time this claim has been made, of course. Stanley Meyer returns from the grave. ECM will run the car just fine as long as your engine is around 2.5 L or so. Larger engines will have limited throttle response, and should use the larger ECM (pictured on the left) which is rated at up to 400 amps. This larger ECM will be auctioned off in a few days on ebay. The unit in this auction is capable of putting out over 150 amps (12VDC) at 35khz. This intelligent unit modifies the signal to allow for peak HHO gas output, while drawing minimal current. On smaller engines, you can generate up to 90 horsepower with our 14-plate cell, and over 150 horsepower with our 30-plate cell. The 30-plate cell requires the heavy duty version of this ECM, which only costs slightly more than the smaller version. This is version 1.0A of the ECM, which does not have any type of safeties built into it. Shorting the plates could cause damage to the electronics, so we recommend only using our cells for your projects. ECM has a 90 day warranty, if installed and used correctly. Warranty covers the ECM only -- labor and shipping is not included. If you are looking to run a V8 or other type of large engine, please call engineering at (508) 583-5133. We are currenty designing an ECM specifically for larger engines, even though doing so will consume a tremendous amount of water. Technical support is provided for the ECM at the number above, however, it should be pretty self-explanatory. There are only 2 wires in, and 2 wires out to the cell, so it is very easy to connect. Please note that using any other electrolysis cells other than ours will VOID your warranty. Buyer pays S&H. The good news is that the technology we sold was inferior to some of the resonance-drive technology out there today. Our new controllers cost 80% less than our original ones (which we can no longer make), and the performance is about 95% of the older controllers. I wouldn't say that the newer design is "better" but it's definitely a better bang-for-the-buck both in terms of manufacturing costs, and retail pricing. As far as supression goes, I don't think it's any different than GM buying Saab. Companies regularly buy out other companies to protect their interests... It's been going on for hundreds of years, and probably will continue well into the future. I'm sure that if you start a company that builds 300,000 electric cars per year, the oil companies will buy you out in a matter of days. For every electric car that goes on the road, they lose over $80,000 worth of revenue (over the life of the car).